11 Best Bingsus In Singapore That Will End Your Search For "The One"
You’ve seen it in Korean dramas and movies. Today, bingsu’s all over Singapore. Given how freaking hot it has been recently, we think it’s a great way to hang out and cool off at the same time. It doesn’t have to be a guilty experience, though. 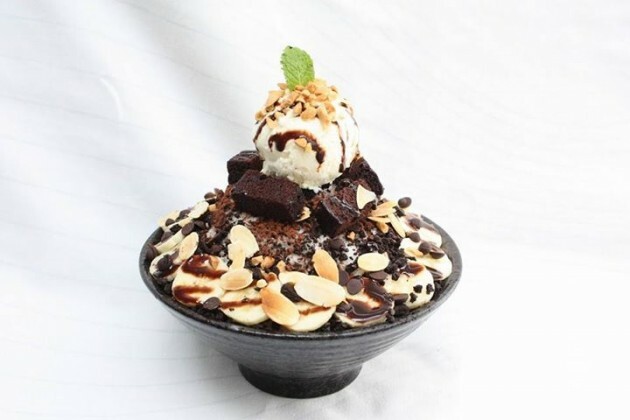 Many bingsus come with fresh fruit and you can ask for less cream or condensed milk, so for those ‘frozen’ by the thought of calories, we’d advise you to ‘let it go’ for the moment and get well-acquainted with the icy queens and princesses of the Singapore bingsu scene. Ho ho ho. 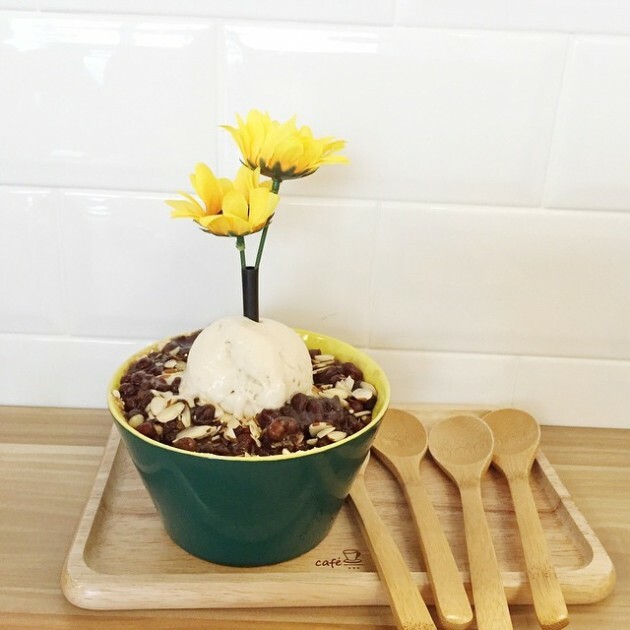 Check out these 11 incredible bingsu shops and their signature bestsellers below! Its name means ‘Snowman’ in Korean. 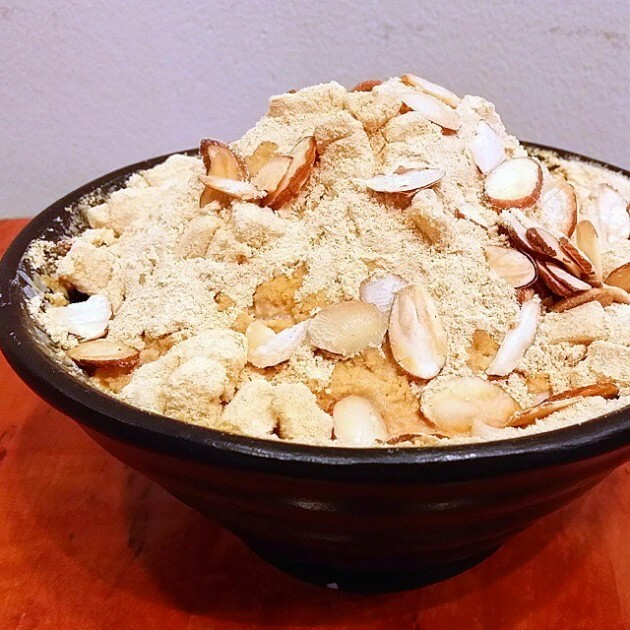 They’re proud of their signature traditional Injeolmi bingsu ($12.90) - rice cakes delicately covered in really fine soybean powder. Apart from that, they also have modern, weird and wonderful flavours like strawberry bingsu, blueberry bingsu - well-stocked with blueberries - and this matcha bingsu. If you find yourself lost in the labyrinth that is Orchard Central, give Nunsaram a go. They’ve also recently opened a new outlet at Westgate mall. 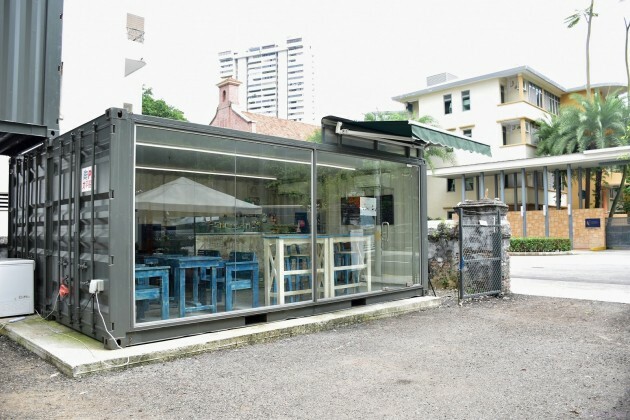 This little cafe at South Bridge Road was founded by a Singaporean with two Korean friends. It’s a great place to chill and chit-chat over a cooling bingsu - they also serve great Injeolmi toast. 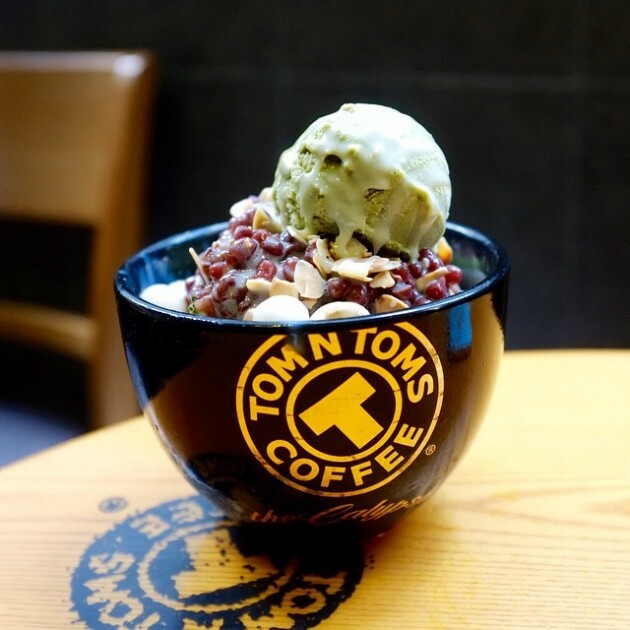 They’re well known for their Red Bean & Sweet Potato Bingsu ($9.00), and for the price, you’ll get what can only be described as A LOT of ingredients, including vanilla ice cream, almond flakes, and red dates. A recommended Korean dessert house for those in the Chinatown area. It’s one of the pioneer generation of bingsu shops and remains a favourite haunt of Ngee Ann Polytechnic students. The shop decor is distinctively Korean, which means you can re-enact your favourite K-drama scenes here. Bing Go Jung’s signature is the Milk and Red Bean Bingsu ($11) - an excellent, refreshing and affordable dessert for 2-3 people. Ask for condensed milk with your bingsu - it adds to the flavour immensely. This “mother’s spoon” cafe uses milk shavings rather than ice shavings. Although they are one of the more expensive bingsus out there, they do make up for it in quality - there’s a distinctive difference between the bingsu here and the bingsu at some of the cheaper shops. If you’re looking to treat a friend or potential partner, the colourful Mango Cheesecake Bingsu ($18.90) is a good option - it can even be shared among a group of 4! Just like bingsu, Nunsongyee - Korean for ‘snowflake’ - hides itself under many layers. You’ll have to travel deep into Serangoon Gardens to find this little Korean gem. 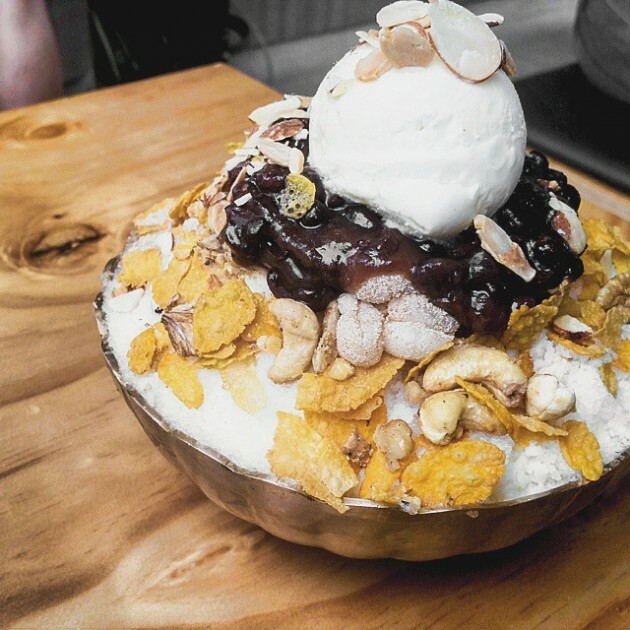 You’ll be gobsmacked that there can be a bingsu cafe in such a remote corner of Singapore. The plus point is that this restaurant is very spacious, and while it can be a hassle getting there, you do get lots of legroom and personal space. 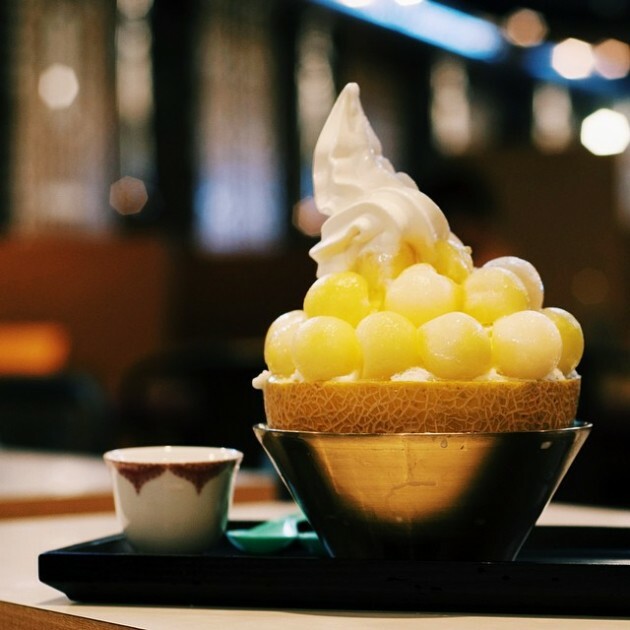 Be sure to try their signature Injeolmi Bingsu ($14.90), finely steamed and pounded Korean rice cake, and do mix it up with the fine shaved ice. They RECENTLY opened a new outlet at Tanjong Katong, near the famous Ponggol Nasi Lemak. The famous Korean dessert chain has made its way to Singapore. The atmosphere is unmistakably Korean, with cute potted plant desserts, a very clean and white interior, and banana-themed decorations everywhere you look. There’s a load of Instagram-worthy desserts, from the outlandishly pink Iced Som Som to the Flower Paap - a flower pot full of pudding. The signature bingsu - the Pot Bingsu ($12.50), with malt ice cream and soy bean powder, holds its own too, and is served in a quaint little pot with Haagen-Dazs ice cream. Bring your cameras. The #1 Korean coffee chain has set up shop here! Actually, this coffee shop has been around a surprisingly long time - it’s five years old and counting. Their menu is extensive and includes ice coffee shakes, pizzas, pretzels and Korean toast. This is the place for a complete Korean meal - you can try some butter thick toast with a mocha, and round it off with some thirst-quenching Green Tea Bingsu ($11.90). Their bingsu are said to be well packed with ingredients and the ice cream - simply thick and milky. It’s primarily a Korean fried chicken restaurant, but that doesn’t stop it from serving great bingsu. After all, a cooling bowl of shaved snowflakes is a great way to round off a hot meal. Their bingsu comes in several flavours, and all of them look pretty impressive. 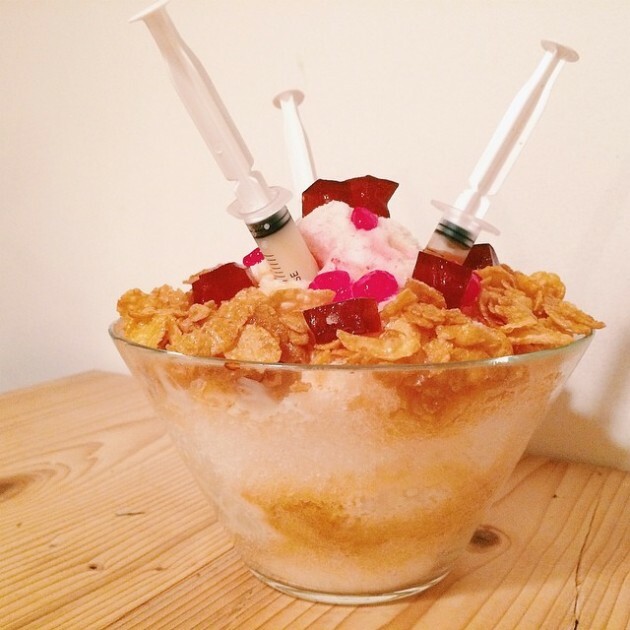 One of the things I liked is how it’s served with syringes filled with condensed milk - one of the most creative ways to let a customer decide how sweet he wants his dessert. You may want to try the Thai-inspired Cha-Yen Bingsu ($12.90), for a little Thai-Korean marriage of tastes. We’re really looking forward to our next visit there to try that. Click here to read more about our experience there. “Aiyo, so cute!” One of the newest cafes on the list, Snowy Village is set up in a cargo-converted container - possibly the first such cafe in Singapore. Their specialty is the eye-catching Mango Bingsu ($12.90), but they also have strawberry bingsu, sweet potato bingsu, Injeolmi toast, waffles, and salad. 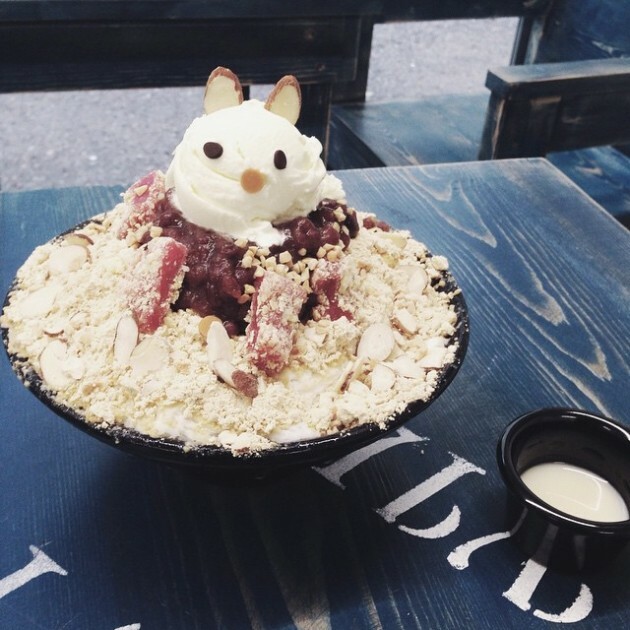 If you can’t bear to touch cute food, you should instead order the Chocooreo Bingsu. It doesn’t gaze at you lovingly. Near the Trick Eye Museum, Insadong Korea Town is a great place to relax and unwind after you’ve walked yourself weary through the sandy beaches of Sentosa. They don’t only have bingsu, but also bibimbap, Korean hot pot, and even Korean-inspired carbonara pasta. It’s colourful and whimsical. Insadong’s bingsu comes in many flavours like Mango and Oreo and is well-stocked with fruits and ice cream. 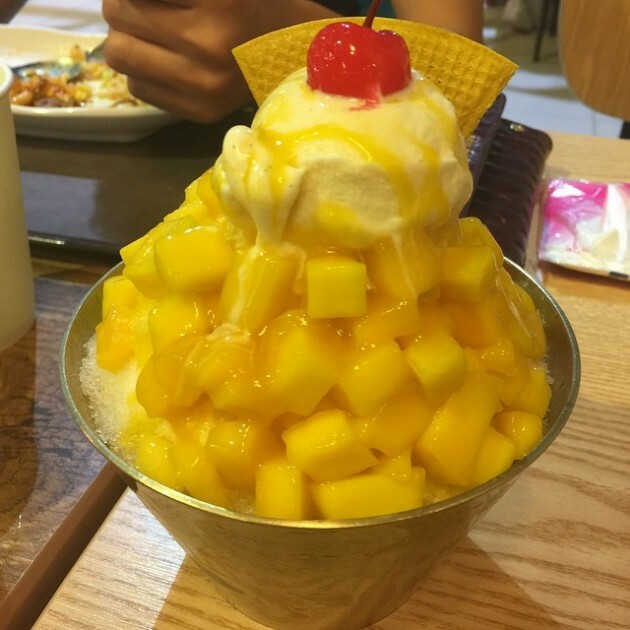 We recommend their Mango Bingsu ($10), affordable and just sweet enough to tantalise. 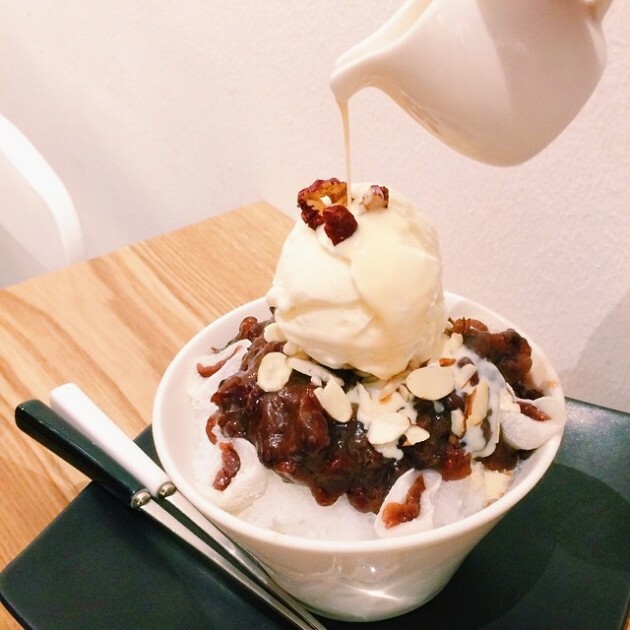 One of the more accessible bingsu cafes in Singapore, Snowman Desserts is located at NEX Mall, with Korean fried chicken restaurant Ssiksin Chicken and Korean BBQ Daessiksin just around the corner. Snowman Desserts also uses a special bingsu machine where fine icy snowflakes gently flutter down the machine and into your bowl of bingsu - unlike the more conventional way of blending ice blocks. If you’re going for the first time, we recommend the Melon Bingsu ($12.50), adorned with eye-catching globes of rock melon fruit. Well, we Singaporeans do have ice kacang, but it’s really not the same. The key differences lie in the toppings - soya bean powder, Korean rice cake, and red bean are all commonplace, and milk is usually drizzled on top of the Korean dessert. Whether your flavour is green tea, blueberry, red bean or even Oreo, this lineup has got something for everyone. Regardless of where you go, we guarantee you’ll feel a lot cooler when you finally put that spoon down. Go try some refreshing bingsu today!